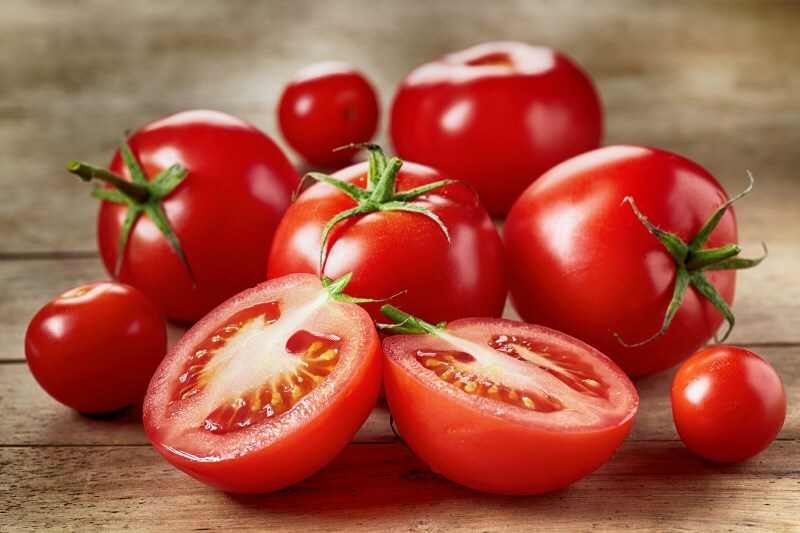 8 Super health benefits of tomatoes that everyone of us ought to know. Tomatoes are tangy and juicy and have many medicinal properties that are beneficial for the skin and hair. Daily consumption of tomatoes boosts health and helps in curing various forms of diseases. The unique health benefits of tomatoes include reduced blood pressure, improved eye sight and relief from skin problems, urinary tract problems and diabetes and many more. It also helps in the growth of Red Blood cells. Indian meal preparations are incomplete without tomato as it adds a unique flavour and freshness to the meal. Tomatoes contain loads of nutritional benefits. It is a rich source of minerals and vitamins, improves the skin and prevents diseases and what not. So, let’s now explore some more benefits of tomatoes. Vitamin A, C and K are found in abundance in tomatoes. Vitamins are required for several vital functions in the body. Vitamin A is essential for cell growth, improving immune system and vision and for skin health. Whereas, Vitamin C is required for the tissue growth and repair in the body and Vitamin K is needed for clotting blood in case of wounds and synthesis of proteins. Tomatoes are a good source of minerals like potassium, manganese, copper and phosphorus. Potassium prevents stroke occurrence and keeps brain functioning normal, maintains blood sugar and blood pressure levels. Phosphorus improves digestive health and keeps kidney functioning properly. These minerals also help in boosting metabolism. The nutrients present in tomato provide protection against cardiovascular diseases. Consumption of tomato helps to reduce inflammation in the body. Tomatoes are an excellent source of antioxidant benefits. It contains a large amount of lycopene, a flavonoid antioxidant. Lycopene provides some defence against skin cancer. Consuming a tomato daily can help prevent diarrhea and constipation as it contains large amount of fibre and keeps the digestive system healthy. It also removes toxins from the body. Tomatoes contain Vitamin A which is formed from the excess of beta-carotene in the body. Vitamin A helps to protect and improve vision and cure a lot of vision problems. Passive smoking is the act of inhaling the smoke without voluntarily smoking a cigarette. Inhaling second hand smoke can lead to serious damages to the body such as lung cancer. The presence of Vitamin A in the diet can help reduce the effect of carcinogens in the body and protect the body against lung cancer. Tomatoes contain loads of water content which moisturizes the skin and makes it healthy and supple. Regular application of tomato juice to the skin can help cure sunburns. Many anti-ageing products use tomato juice in their preparation. Underweight people are advised to eat lots of tomatoes through their diet as it helps in gaining weight.